Our newsletter as always is dedicated to our favorite Great Dane dog breed. A lot of information about Gentle Giants was highlighted in our previous newsletters, but, today, I would like to discuss the topic of dog training. 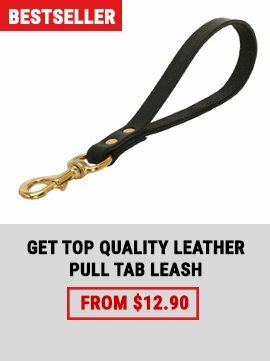 As your know every dog needs to be well-trained. But people always have a question at what age they should start training their four-feet friends. The answer is... immediately! 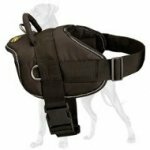 If you already are a happy owner of Great Dane dog breed, you should remember that your little friend needs right accessories. In our newsletter we are eager to present you an article about application of different dog supplies. I hope, it will be helpful for you, dear subscriber! 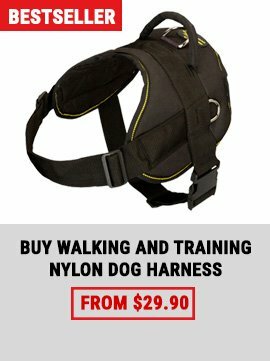 If you haven’t still purchased any equipment for your puppy, please, pay a great attention to this aspect! 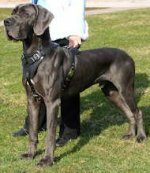 You can train and control your Great Dane using a variety of methods and techniques. Depending on what types of activity you want your dog to perform or make him stop doing something (pulling, picking up dangerous objects, etc.) you should choose a proper equipment. 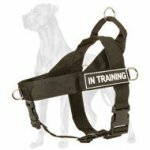 You may use harnesses, leashes, muzzles, collars, etc. All these dog supplies are used to control your pet during training or just when you are out in public. Our hospitable online store welcomes you on this page! 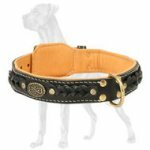 We want to offer you our Stylish Leather Collar for Your Great Dane. 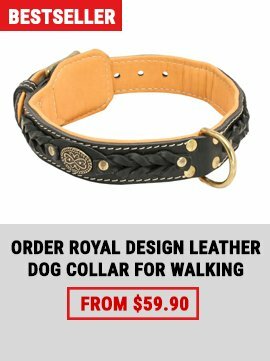 With a help of this Amazing Dog Supply you can vary your daily walking with your pet. Moreover everybody will admire your pet’s gorgeous appearance. 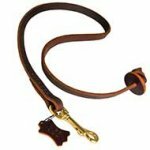 Just imagine how beautiful your Great Dane will be with our Exclusive Leather Collar on his neck. But you get to choose. And we hope you’ll tick the right boxes.